Being on your feet while you're working hard on a daily basis can take its toll, especially over time. If you're looking to head to work with men's safety toe shoes that have the cushioning and support to help reduce the wear on your feet, then we recommend these R ... (see full details) (see specifications) #RB4047. Being on your feet while you're working hard on a daily basis can take its toll, especially over time. If you're looking to head to work with men's safety toe shoes that have the cushioning and support to help reduce the wear on your feet, then we recommend these Reebok Men's Black Alloy Toe RB4047 Sublite Cushion EH Athletic Work Shoes. Just look at the name of these Reebok men’s work shoes: Sublite cushion. That's the name of the game here, as these alloy toe oxfords feature the brand’s Sublite cushioning system. The interior of these Reebok athletic shoes includes a removable MemoryTech massaging footbed. This insole is made up of breathable memory foam that provides customized comfort with every stride. These comfortable insoles are backed up by a Sublite EVA foam midsole that adds additional support and protective shock absorption. To give you even more cushioning and support, Reebok designed these low-cut alloy toe men’s work shoes with a slip-resistant outsole. This rugged outsole not only has the traction to give you superior grip on nearly any surface, but it also features rubber heel and forefoot pads. These pads were specifically added in those areas to decrease the stress and wear and tear your feet face each day at the job site. On top of all of the cushioning comes other features that help add dry comfort and protection to these lightweight black shoes. As we’ve mentioned, these feature an alloy toe cap. This lightweight alloy toe meets or exceeds the same ASTM F2413 standards of a traditional steel toe. The combination of dual resistors and leather uppers with no exposed metals allow these athletic work shoes to be EH rated. With a dry fit in mind, Reebok topped off these EH rated work shoes with an interior nylon mesh lining that wicks away moisture or perspiration and dries it out rapidly. Each one of the EH shoes weighs only a ¾ of a pound. But don’t let that lightweight package fool you; these Reebok Men's Black Alloy Toe RB4047 Sublite Cushion EH Athletic Work Shoes from Working Person's Store are loaded with protective cushioned support. Order your pair from us today! Hi. I just wanted let you know that I received the shoes. Thanks for the great customer service and follow up. 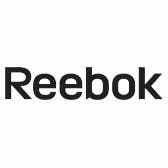 Reebok Shoes: Men's Black Alloy Toe RB4047 Sublite Cushion EH Athletic Work Shoes is being added to your cart.